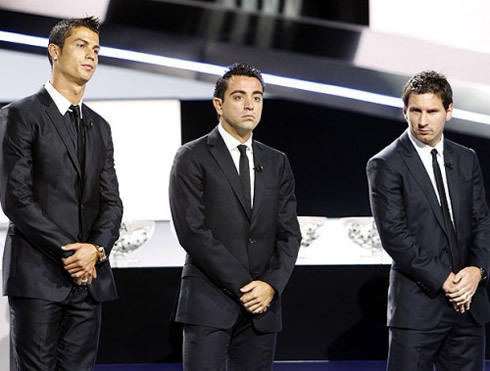 Not that it was a big surprise, but this Monday, FIFA revealed the final 3 candidates for the Balon d'Or 2011 award (FIFA Best Player in the World 2011) announcing the names of Cristiano Ronaldo, Lionel Messi and Xavi. The winner will be known on the 9th of January 2012. 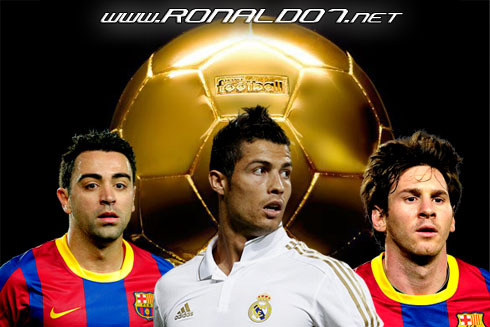 The 2011 FIFA Balon d'Or, also known as FIFA Best Player in the World award, will be delivered on the 9th of January 2012, but this past Monday the nominees have been cut to just 3 names. 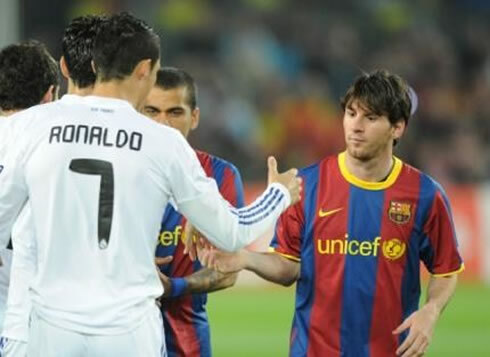 Real Madrid's Cristiano Ronaldo and Barcelona's Lionel Messi and Xavi will be the target of a voting poll leaded by National Team coaches (~33%), captains (~33%) and a few selected journalists (~33%). Besides Ronaldo, Real Madrid will also be represented in the FIFA Coach of the Year 2011 category, with José Mourinho being included in the final list, alongside with Barcelona's Pep Guardiola and Manchester United Sir Alex Ferguson. The 2011 Golden Boot/Shoe winner, Cristiano Ronaldo, scored 40 goals in La Liga 2010-11 and 53 goals in all competitions last season, helping Real Madrid conquering the Copa del Rey against Barcelona. 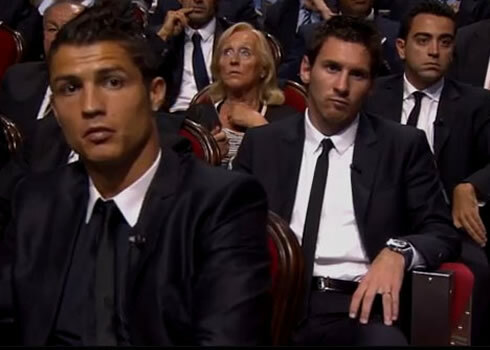 However, CR7 is still seen by many as less favorite to win FIFA's Balon d'Or than Lionel Messi. 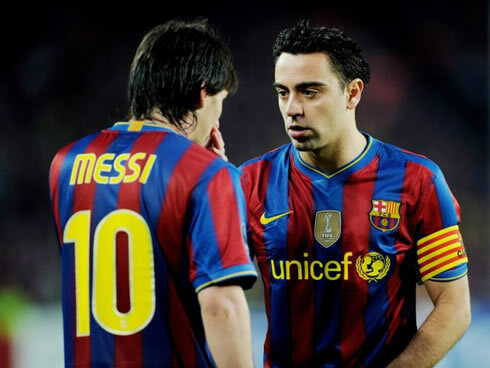 The Argentinian player has led the Blaugrana to glory in both the Spanish League and the UEFA Champions League, besides having won the last two editions (2009; 2010), that have ranked him as "FIFA Best Player in the World". For the second year in a row, FIFA will also hand the Best Coach in the World award, and José Mourinho's name is once again included in the announced final list. However and similarly to Cristiano Ronaldo, the Portuguese coach also faces serious competition as Barcelona's Pep Guardiola and Manchester United Sir Alex Ferguson complete the candidates list. In a week where Real Madrid and Barcelona face each other for "La Liga" in the Santiago Bernabéu, these kind of nominees lists announcements are probably the less of the worries in José Mourinho's mind. We'll be posting an "El Clasico" preview in the next days, so that our readers won't miss a single bit of this long awaited clash. 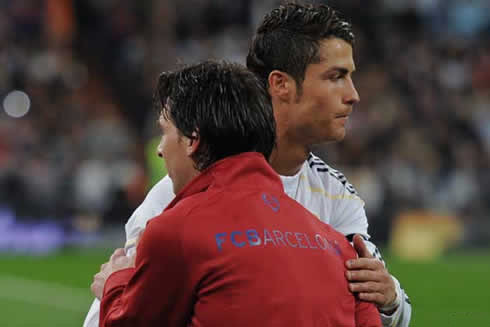 Real Madrid next game is against Ajax, for the UEFA Champions League, on the 7th of December, 2011. 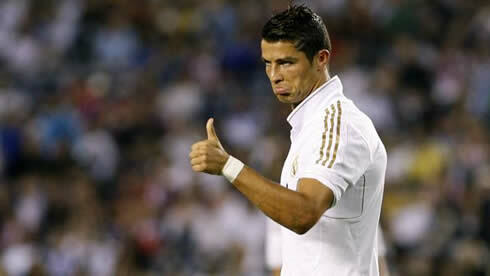 There's a good chance that Cristiano Ronaldo could be spared from this match, if Mourinho decides to rotate the team. This Tuesday, you can watch Barcelona vs BATE Borisov and the day after, you can follow Ajax vs Real Madrid, and Basel vs Manchester United also for the UEFA Champions League. All these games are available from our soccer live streams section and you can check how much time is left for the next Cristiano Ronaldo game, by looking at the countdown timer, placed on the top right corner of all pages.